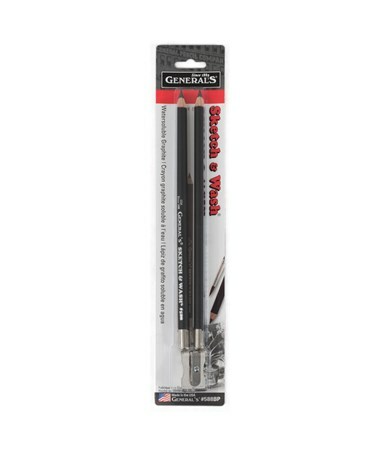 The General’s Sketch & Wash Pencil Kit is a functional and versatile drawing tool for artists and hobbyists. 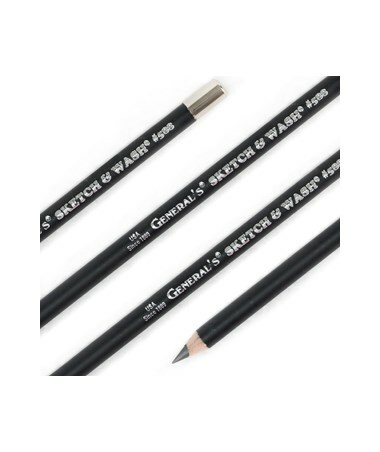 Ideal for mixed media drawing, its core is water-soluble and can be applied with brush to create dramatic washes of gray and black. It draws directly on wet paper and can be used for darkening lines and details. It can also be combined with watercolor pencils, colored pencils, pen, and ink. When dry, it is easily erasable. 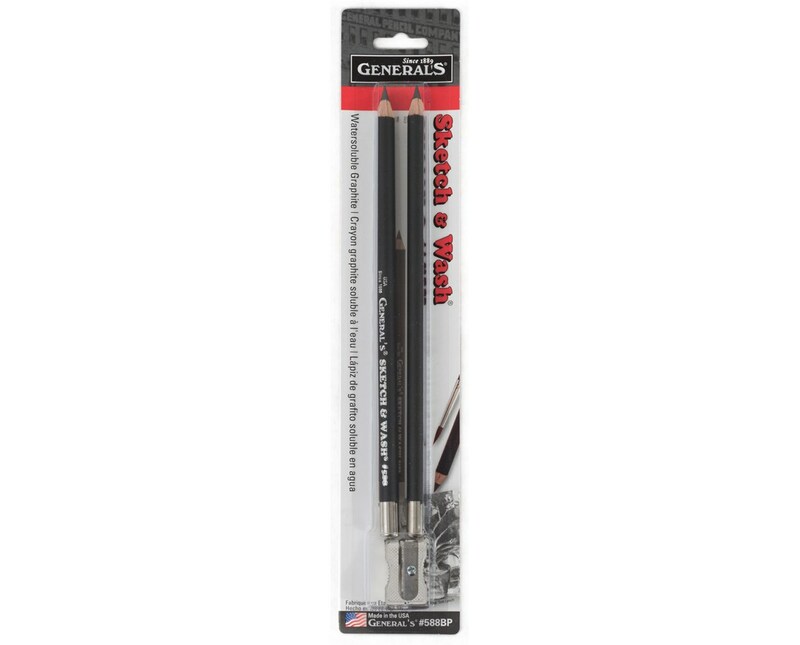 The General’s Sketch & Wash Pencil Kit contains two washable pencils. Both pencils feature incense cedar wood casings to ensure durability and smooth sharpening. 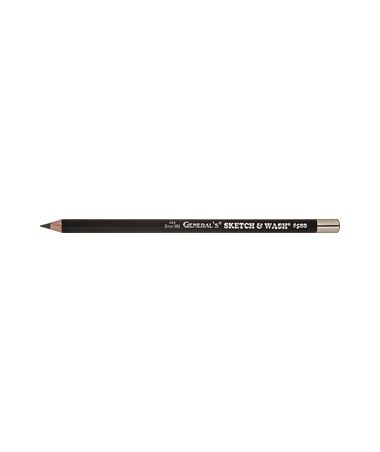 Bonded with an exclusive bonding process called Carbo-Weld, each pencil provides strength and reliability. For maximum functionality, this kit comes with a metal sharpener.